Computer keyboard shortcut keys are the best ways to save your precious time and energy. 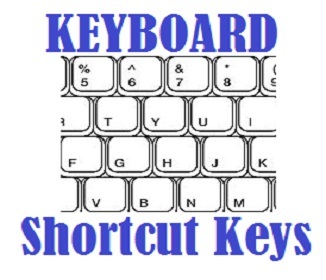 because of this shortcut keys your task will become much easier as before. we have tried in the best and easy way to let you remember this important shortcut keys. However if you have any difficulty ask in comment section it will be pleasure to help you just remember this shortcut keys and see the difference in your work. + F File menu options in current program. TAB Move through dialogue controls. Shift+TAB Move back through dialogue controls. Ctrl+TAB Move to another page. Ctrl+Shift+TAB Move back to another page. Space or Ctrl+Space Select or deselect in list. Space Toggle a check-box on or off.